Two fantastic weapons that carry the game over 30 hours. While they offer a lot more than just a regular weapon in any other game and have been given complete dev attention I was wondering if it might be a good idea to reduce the individual weapon skill trees and add more weapons in the next game. I do not want them to completely replace these two weapons because both ( especially the axe) are some of the best weapons in gaming and I do not want to see it tossed out but I would def like to see a few more weapons in the next game. Would you prefer focus on another two set of weapons completely replacing the ones in this game for the sequel or would you prefer they keep both of these weapons but add on top of it. Maybe not a third exactly, but I’d like them to expand on the hand-to-hand stuff a bit more. Like those lion gauntlets you get in GOW3, maybe give you a brass knuckles style enhancement to your fists. The only weapon they should add is mjolnir. Yeah this would be effing awesome. I would love to have the gauntlets back! Yup. I hope they keep it as well . add 1 more weapon that plays equally or more awesome than the other 2. Tyr's lance. That statue of him even looks a bit like a Spartan. more weapons. please. more weapons. Echoing what others said, Keep leviathan and the Blades but further expand upon Kratos unarmed style. I like the idea of a brass knuckle / gauntlet style weapon. Make it re-forged out of Mjolnir by the brothers to give Kratos a ice / fire / lightning trifecta. Yes, they should add at least 1 more weapon, and expand a little bit on the old ones. I also feel like there's potential to add Atreus combos with Kratos like when he helps you in the first one, but controlled by the player. It would be really cool. Maybe add improvised weapons like trees and rocks (it was really cool when Kratos hit Baldur with that tree) or the possibility to steal enemies weapons like in Ascension. 1 hander and a shield would be cool. More weapons with this level of combat? Why not? I'd argue to add at least another one to avoid the "use this weapon for this kind of enemy" with basically two variations. As long as they add more depth to the combat (I know, it's GoW), they don't need to add tons of weapons. Just make it more varied. Holy fk this looks amazing! Nope. Too many weapons, especially when they feel half-baked = bad most of the times. GOW 2018 had the right amount of weapons. And they felt soooo damn good. The axe is epic! Improve that! More shield action, or example. Only one and it has to be Mjolnir! The obvious choice seems to be keep the two and add Thor’s hammer. Then you have both weapon and element triads. Fire ice lightning / sword axe hammer. One more weapon and expanding the hand to hand combat will make it perfect. That tir lance looks phenomenal and/or Mjölnir. Also expanding the skill trees of the weapons. Leviathan is already Kratos' Mjolnir. I say expand upon the weapons they have and work on expanding Atreus' role in combat beyond just "spam arrows to stun." Gladius was used by vikings iirc and could be a pretty cool close range weapon. I could see it basically replacing the fists... so close range, brutal sword and shield combo. I thought just 2 weapons would be bad in GOW but it was amazing. They felt proper developed. So I would say they should keep this approach BUT add 1 more. And you know which one I am talking about... MJOLNIR!!! I’m actually totally fine with the current weapons if they added more tunes, specialties, with increased hand to hand combos and then simply adding jumping would change the entire system. I really want them to spend their time on knocking the story and world out of the park again and a few more big bosses. I might be alone, but I’m not craving a bunch of new weapons, just more world/story. It's pretty obvious that Kratos is going to get his hands on Mjolnir at some point, so lock that in as a weapon. First post nails it. Just expand the hand to hand combat. Make it a little deeper, maybe a style that you have to switch to? Lots of ways to deepen the combat without reinventing the wheel. I would take the same weapons. His statue definitely looks different to Thors. Another about the lance that it would be another counter towards Odin whose primarily known for his Spear much like Leviathan is like to Mjolnir. As someone pointed out, all Kratos current weapons have personal value to him Axe and Shield from Faye, the Blades from his past life. 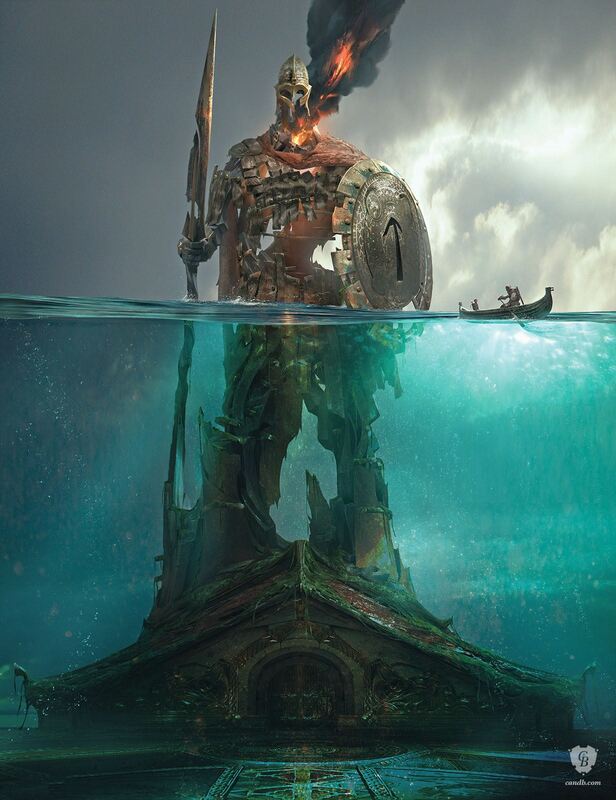 I feel there's much more to Tyr being another God of War while also being hinted to have visted various different realms as well that would make it an interesting choice. I also think that given we know the Dwarve brothers were responsible for making the hammer and axe that rather than a separate weapon, it could be fused together. Ugh, yes. Spears and lances are my favourite weapons in action games. Ghost will always have a special place in my heart thanks to the Arms of Sparta. Personally I think they had the right amount especially with the complexity built in with both. Not sure if I want to add a third just for the sake of adding it. I was maybe thinking... in the next game, the blades of chaos should be a weapon only when you activate the rage of Sparta ability. this will allow SSM to make other interesting weapons for kratos to use. Obviously the Leviathan axe should still be the primary weapon. It is way too fun and it represents the new chapter of god of war really well! I can't wait to see what more SSM have in store for the axe! Styles to switch to would be cool even if it was only one. Maybe they could do something similar giving a weapon 2 modes? Mjolnir could transform into a very devastating, slow heavy hammer for close range and a fast long range hammer, either using thunder to hit enemies form afar or by flying around (kinda like the stance move of the leviathan axe). The most obvious addition is basically a given considering the story and I am crazy excited to see Kratos get his hands on it and the ensuing destruction to follow. Spoiler: Ending Spoilers! Click At Your Own Risk! 4 weapons would be nice. Find a way to bring the Blade of Olympus back and add another new weapon. Mjolnir as it is now would be too similar to Leviathan in terms of functionality. I would only accept it if Brok and Sindri fix their mistake of making the handle too short by turning it into a proper maul. I'm imagining slow, powerful strikes with long range and a hammer throw that can bowl over multiple enemies at once. Wouldn’t be bothered if they don’t add any new weapons, the two we have are so good. Shorter range with more power might be a better trade off, you could have the axe in one hand and the hammer in the other if you wanted. Yeah, but then it just becomes another branch on the Leviathan skill tree. I'd rather have a more robust bare handed move set than that. Add one more in the second half or last third of the game. That would be ideal for me. Also, they should make weapon switching more fluid. I think Thor could destroy the Leviathan Axe when he fights Kratos and after the battle, Kratos could use Mjolnir as his primary weapon. I don't think they're going to ditch the Leviathan that easily. You couldn't even reuse the axe animations for it since Mjolnir's handle is about half the length. 100% this... It should at least accept input while you're in another animation. Ridiculous how you have to wait for an animation to completely end and the character go neutral before you can switch. The cool thing about GoW was that both weapons had immense emotional value to Kratos. Agree with this. These two weapons had more significance and depth than an armory of your typical RPG loot. The skill-tree and the combos & various attacks is one thing but there was a lot of depth put into crafting and customization of these weapons. If they are going for many more weapons in the sequel then they would 1) have to ditch the current weapons and 2) exchange the skill-tree for weapon-type-mastery and 3) reduce the customization options. It would also mean losing story-relevance towards weapon of choice. In many games the weapon held + movement is the where combat starts and ends but God of War was very flexible with combination of weapon + runic + rage + boi. Having semi-control of boy also meant you could attack from two fronts simultaneously. The combo of Blades + Axe was nearly perfect. I'd be quite happy if they just expanded those two a little and kept the focus there. However I'd like to see his fists/shield moveset developed a bit more, and maybe adding a third weapon, although I'd honestly be happy if they kept that for raising the stakes in the third game. 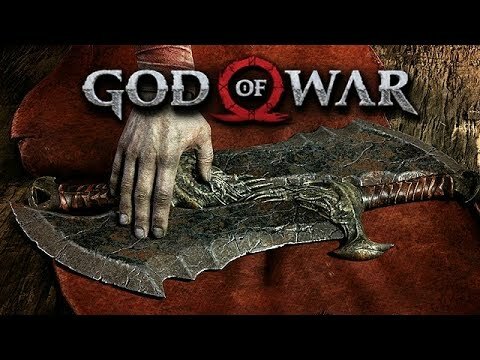 Mjolnir, while really damn cool, is functionally too similar to the Leviathan Axe and one of the problems with GoW3 was the weapon set feeling too similar and limited, so I don't think they should add stuff just to bring the numbers up unless it's really going to add something unique or interesting. On the other hand I really liked the spear+shield from Ghost of Sparta, so if they tried to do something similar again it would feel distinct from the other weapons and bring its own attributes. Yeah, I love this. Damn good idea!